In the 2012 case of Garcia v. The Hartford, the surviving spouse of Jose Garcia, Elvira Garcia, sued the insurance company The Hartford for a violation of ERISA. The decedent had participated in his employer’s long-term disability plan. The plan was insured and administered by The Hartford and was governed by ERISA. The purpose of the plan was to give policyholders protection against loss of income in the event of disability. The covered employees were to receive long-term disability benefits—a portion of monthly income—if they were so disabled they couldn’t work. The payments would end when the disabled employee could come back to work. By the policy terms, The Hartford had the authority to interpret all terms and provisions of the plan. In 2004, the decedent had a heart attack, and the insurer approved his long-term disability benefits claim. However, the insurer told him that the payments would be reduced by other benefits, such as Social Security Disability Insurance (SSDI). At the time of the approval, he wasn’t receiving SSDI, but the insurer directed him to apply. Subsequently, he signed a reimbursement agreement in which the insurer claimed he had applied for other benefits. The decedent asserted that he was receiving primary Social Security disability and dependent Social Security disability. However, he asked that his payments not be reduced until he actually received the SSDI benefits. He agreed he would have to pay the insurer back if he was paid long-term disability benefits that were more than what should have been paid. The insurer reserved the right to reduce payments to recover an overpayment. Shortly thereafter, he was approved for SSDI. He started receiving $1,879 per month. He told the insurer. A few months later, the insurer began deducting this sum from his benefits and would also deduct funds to account for SSDI benefits he had previously received. It also reduced the benefits to reflect the amount that his daughter was supposed to be able to receive from Social Security. The insurer began withholding benefits because the decedent received $17,640.42 more than what he was entitled to receive and asked him to pay it back in a lump sum or through withheld benefits. He appealed, claiming that he wasn’t appropriately notified and that the sums shouldn’t have been deducted from his long-term disability benefits. An appeal specialist affirmed the insurer’s decision. The insurer continued to deduct from the monthly benefit. Later, the decedent died, and his wife asked the insurer to reconsider. She submitted a second appeal. A second appeal specialist also affirmed the decision. The wife sued the insurer for the benefits offset, and the insurer moved for summary judgment. She filed an opposition and cross-motion. The court agreed with the insurer that it didn’t abuse its discretion by deciding the decedent’s SSDI was “other income benefits” that offset the long-term disability benefits he was owed. When an ERISA plan gives discretion to a plan administrator to construe and interpret the plan terms, only an abuse of discretion allows the administrator’s decision to be reversed. In the Fourth Circuit, there are eight factors to be considered: the plan’s language, the plan goals, the adequacy of the materials considered, whether the fiduciary’s interpretation is consistent with other plan provisions and earlier interpretations, whether the decision-making is reasoned, whether the decision is consistent with ERISA, external standards relevant to the fiduciary’s exercise of discretion, and the motives and conflicts of interest of the fiduciary. In this case, the factors all supported The Hartford’s decision. The insurer’s motion for summary judgment was granted. 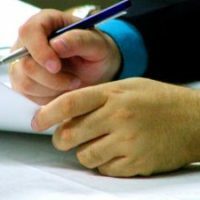 If you are disabled and have a dispute about benefits with your long-term disability insurer, you should consult with an experienced Maryland long-term disability claim attorney as soon as possible. Contact the attorneys of Steinhardt, Siskind and Lieberman at (866) 902-4111 or via our online form. We can help you investigate all possible avenues of relief.